In 2009, the nation of Palau, made up of 250 tropical islands stretching across the western Pacific Ocean, made history by creating the world's first shark sanctuary -- but now, in a move welcomed by marine conservationists, that protection will soon be extended to all species. In a keynote address to a UN meeting on the health of the world's oceans, Palauan President Tommy Remengesau Jr. announced plans to outlaw commercial fishing across the nation's 230 thousand square miles of ocean -- declaring the entire region "a 100 percent marine sanctuary." 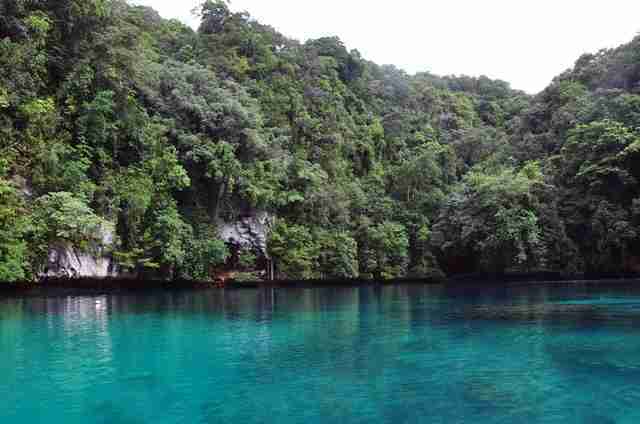 The ban, which will take effect once existing contracts have expired, is part of a plan to promote tourism by focusing on the preservation, and not exploitation, of Palau's "pristine environment." 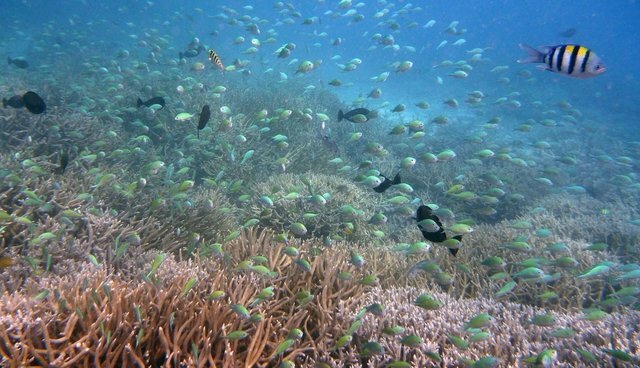 The massive sanctuary, which will cover roughly the same area as France, will help aquatic life to recover from overfishing elsewhere, says Remengasau, benefiting the ocean at large while reaffirming Palau as a haven for eco-tourists. "We will do our part of making sure that there's a healthy stock of fish in Palau that then can migrate to other places," he said. Remengesau cited a study which found that a single shark alive in the wild can generate at $1.9 million in tourism revenue alone, as opposed to a dead shark caught by fishermen which is worth no more than a few hundred dollars.